Fat people are diverse in their bodies, in their thinking and in their political attitudes– we are not simply thin people with rolls. 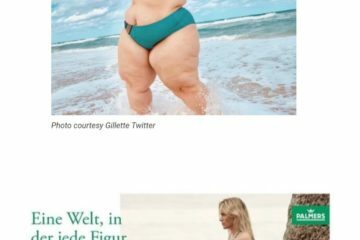 Unlike the characterization Barbara Schöneberger was trying to convey while wearing a fat suit on the cover of her eponymous magazine, fat people are not costumes. As such, fat people don’t need to be thought of as caricatures, rather we need access to clothes as fabulous as costumes which make comic-like noise like “boom” and “brzzzzzl”. We want to strut down the street just like the actress Laverne Cox did when she walked the catwalk for 11 Honoré, a plus-size high- fashion online distribution, at New York Fashion Week this year. 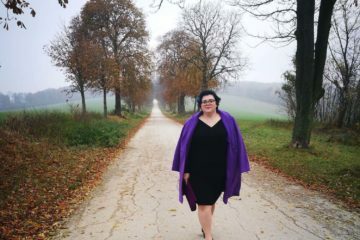 While interesting prêt-à-porter-fashion in extended sizes has become more available for fat women, wide-spread access is still limited and haute couture and gala fashion is even more so. The reasons for this are a lack of high fashion in big and extended sizes, trauma and money. As a fat women myself, I often experience this bias and have certainly experienced it while attending fashion festivals. Even the worthy contemporary Takefestival in Vienna, which operates at the interface of art and design and promotes diversity, I have seen one or another person of color and serious gender- fluid faces but it in total it still lacks diverse body size representation. According to the fashion critic Zaihani Mohd Rain, we, as fat women, shouldn’t even bother to show up in the audience. In a Facebook post from April 2018, Mohd-Rain says that people with more than 60kg (132 lbs) occupy too much space. With prevalent negative attitudes like this, it is no surprise that design students see the plus size market as too political, rather than a lucrative market to clothe more women. During the podium discussion of the Takefestival of 2016, “The fashion industry in (radical) change,” it was noted that design students trust niche markets at the beginning of their studies but seek familiar and big “non-political” markets upon entering the workforce. 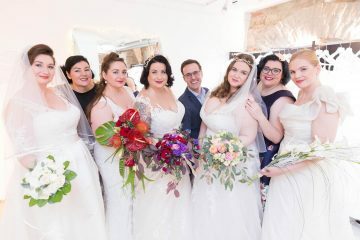 With more women wearing size US 14 and above rather than below, it is curious why plus size is considered “niche” and political rather than mainstream and profitable. Those students and the market at large should be reminded of the visions of Aenne Burda who, in 1952, arranged to take measurements of a diverse and large number of women. This action resulted in clothes sizes and sewing patterns (for women up to size US 22) in Germany and abroad. This bias against fat women results in a dearth of choice for fat women. While the conversation in fashion has rightly moved from fast-fashion toward sustainability and fair working conditions, this conversation has not been extended to fashion for fat women. The conversation for fat women is still stuck in the need for access to extended sizes, variety, quality, and trends. We simply buy the limited offerings available in our size and unfortunately, most of us feel bad as a result. 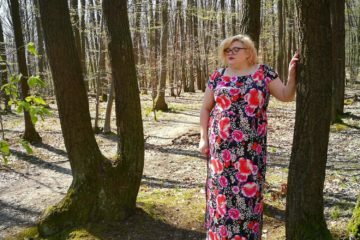 Even though there are many fat women who don’t care about fashion, the bigger issue is lack of choice and visibility, resulting in alienation and feeling less than human. 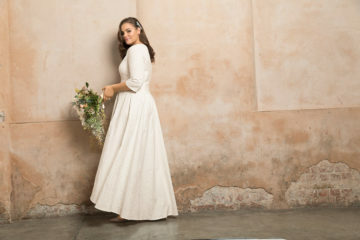 Straight size fashion chains choose to ignore bigger sizes or more compelling options because plus size is still a highly political taboo area and not because they lack financial resources or innovative designers who mag design customized sewing patterns . Many companies do not produce bigger sizes and do not support plus size events because they are afraid of bad publicity and being associated with fat people. Also, they fear that their slim and wealthy customers will stay away because which slim well-off customer wants to see a fat – I mean, a really fat – counterpart in the same garment at the same event. This is evident in the hurtful words of streetwear label Abercrombie & Fitch CEO Mike Jeffries (in 2013), who said he only wanted to see slender and beautiful people in his stores because his customers should feel like the “Cool kids” while wearing his clothes. High fashion is subject of a “natural” selection, which should actually sort the wheat from the chaff. To be fair, there are increasing numbers of fashion designers who are taking note of the urgency and political importance, like Austrian designers Valerie Lange and Mark Baigent. I look forward to finding realizations in their collections and look books. Elevate your spring look with our Emira Blouse! Link in our bio. The new American company Pari Passu has created clothes made in consideration of size and shape. Their slogan “One shape does not fit all” exemplifies their efforts to change access to clothes in extended sizes while perfecting fit. Fat activist and author Virgie Tovar interviewed the founders, Shanna Goldstone and Edward Slezak, to learn how they were able to configure three different shapes after a long analysis of 3D models. 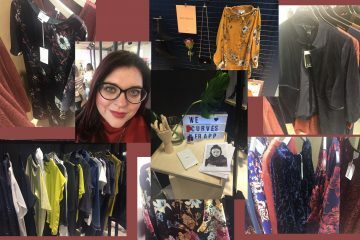 Companies who are making waves to improve plus size fashion, like Pari Passu and 11 Honoré, do deserve applause. However, are they going far enough? Upon watching the runway video of 11 Honoré at New York Fashion Week, I noticed that the models are strutting in high heels, which are not realistic for many not only fat people. Where are the cool flats, the hot plateaus and the crazy block heels, and where are they in wide width? Not to mention proper underwear and lingerie in extended sizes. The 11 Honoré sizes go up to a solid size US 18. But, what about the many many women who wear sizes US 20+? The air is very thin up here and our searches are usually in vain. The argument that manufacturing clothes above size US 18 is too expensive due to supply and demand is probably only half-true. Promoting obesity simply does not throw a good spotlight on a company, especially not when the “curves” are not on the right spot or are too health-threatening overflowing. Because who produces not only big, but larger, inevitably endangers an economy and of course the health system. Irony off. When fat models such as Tess Holliday are printed on the glossy “Cosmopolitan” magazine in the US in fall of 2018, and that is rare, there is a huge outcry as one would support “You name the evil”. Fat people on covers would be so important, not just to show the fat customers, how (evening) wardrobe not only looks good on them. They also need to know that fashion in their size is indeed available for purchase. Speaking of purchaseable,there is another side to the economic story that influences the available options and the buying power of fat customers: the paygap in earnings between fat women and their thin counterparts. According to the US study “The affective and interpersonal consequences of obesity,” researchers found that 45% of employers were less inclined to recruit an applicant who classified as obese. Furthermore, fat people have lower starting salaries and are less trusted to lead. Also the British study “ORE Open Research Exeter: Height, body mass index, and socioeconomic status: mendelian randomization study in UK Bioban” produced a similar result. Statistically speaking, a fat person has less money to spend on clothing and less political power to influence the conversation. Hated, underpaid, and traumatized by society, fat bodies are made invisible and powerless, despite their corporeal grandeur. The psychologically beaten fat person that has been stuffed into too tight clothes, for too many years, can still find the courage to take center stage. Imagine this person dressed in a magnificent outfit and accessorized by self-worth and comfortable, stylish wide width shoes, strutting down the street like it is the catwalk of life. This person is daring to occupy his or her well-deserved space. “This is a movement, not a moment” is written in large letters on the website of 11 Honoré. CEO Patrick Herning’s slogan is powerful and commanding and it implies the perseverance needed to change markets, viewpoints, and biases. While Herning’s arguments are largely driven by economics (dressing fat women can be profitable), his statement evokes socio-political thoughts with me. If body positivity has been superficially hyped as a trend in recent years, then voices grow loud which can also be antithetical to a true body liberation movement. 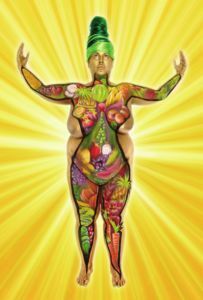 I, too, as an activist live with contradictions, and I believe that every person has the autonomy to do whatever they want with their body but, restricting one’s body intentionally to fit someone else’s ideal is more closely aligned with the the lies of the 400 billion heavy-duty slimming industry than the body or fat liberation movement. And, it is certainly more destructive and manipulative. The fashion-dominated term “plus-size” is not equal to body positivity and does not necessarily mean that people deal with socio-political components. On the contrary, self-stigmatization works fabulously among fat people – especially in the fashion industry, where a normalized concept of beauty and youthfulness still come first. Therefore, we should not forget where the term “body positivity” actually comes from – as a terminological continuation of the American fat-activism movement of the 1960s. It is a continuation to include ALL bodies and not the continuation to give the 97th life-style-change a more colorful touch. This is about more than one fabric that flatters my body, body positivity is a political demand. And fashion without this political demand does not work as long as I’m denied access to fitting, interesting and sustainable clothing. That’s why I wish for more brave people in the (especially straight-size) fashion industry. Special thanks to Angela Trakas who supported the author Veronika Merklein by lecturing & revising the English text! Visual artist, performance artist, activist, expert. Born in Germany in 1982, Veronika Merklein lives and works mainly in Vienna (AT). She works in various media (performance, food, text, photography, object, installation, community work) with a focus on performance art. Body & Food Politics are currently determining her work. Gastautorinnen sind ein wichtiger Bestandteil von Curvect. 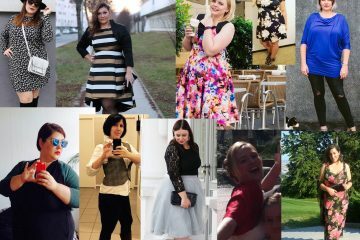 So bringen sie ihre Erfahrungen, ihr Wissen und ihre Expertise zum Thema Plus Size und / oder Body Positivity mit. An dieser Stelle findet ihr Artikel unterschiedlicher Autorinnen, die Curvect um ihren Wissensschatz bereichern.